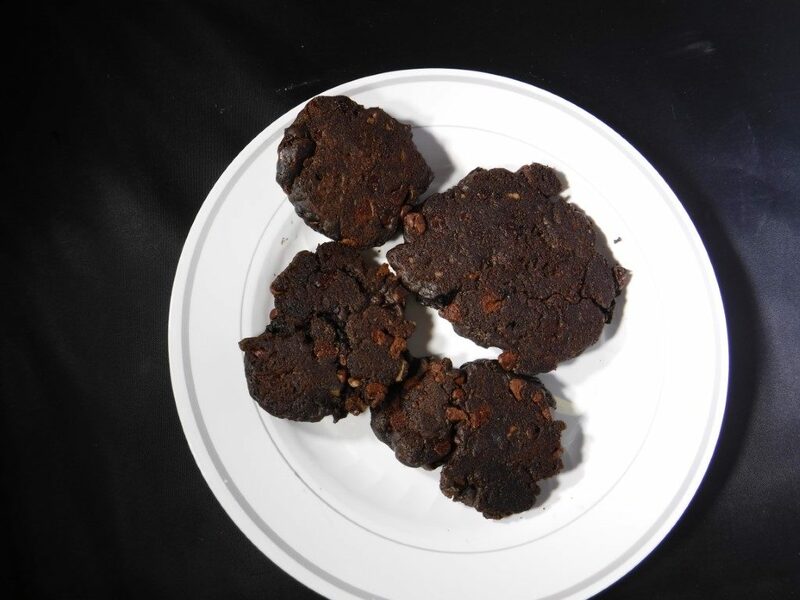 For this weekend’s campout, I was looking for a dessert which could be baked in a frying pan over a stove, and I remembered these fry cookies, which I first made about 5-6 years ago. I successfully made them at a Boy Scout Roundtable meeting as a hands-on program. An advantage of these cookies is that they are completely backpack-able. The ingredients are dry and completely stable and are mixed in camp with water and oil before being cooked. Makes 4 servings of 3-4 cookies each. Combine the dry ingredients and mix well. Divide into 4 equal parts and place each part in a separate ziplock bag. Package the oil with other vegetable oil taken on the trip. Combine 1 package of the mix with 1 Tbs. of oil and 1 Tbs. of water. Mix well by kneading the ziplock baggie. 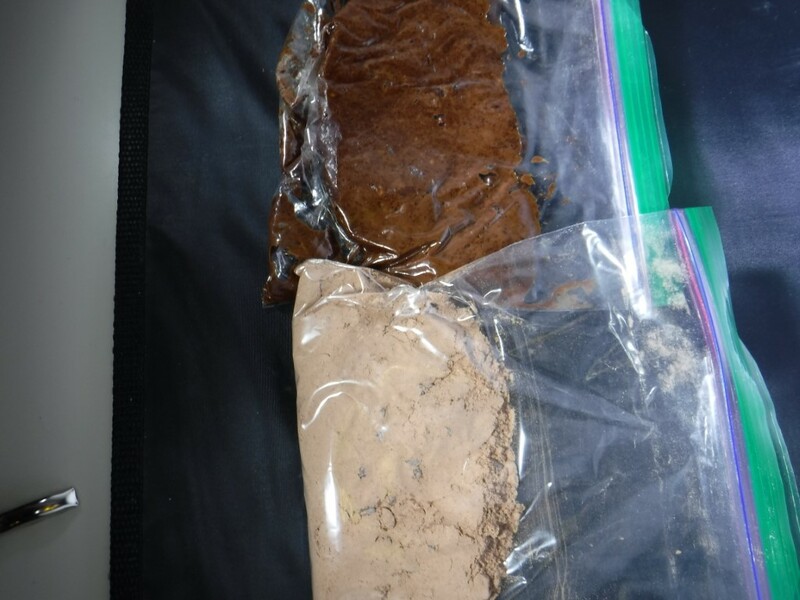 Hear is a picture of the dry ingredients (bottom) and after mixing with oil and water (top). Put an additional tsp. of oil in a frying pan and heat on a medium-low flame. Divide the dough into thirds, flatten each piece into a disk and drop into the frying pan. Gently press each cookie down with a spatula. Cook for about 3 minutes until the bottom browns. Flip and cook the other side. Cool for a few minutes before eating to avoid burns. Follow the same steps for each of the other 3 bags of cookies when you are ready to eat them.